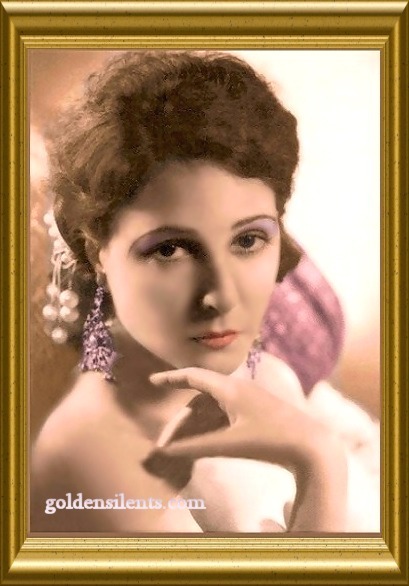 Silent movie star drama queen Norma Talmadge was born on May 26th, 1893 in Niagara Falls, New York and raised in Brooklyn. 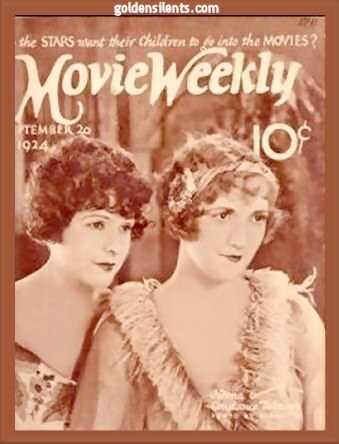 Her baby sister Constance Talmadge was a major silent movie star in the 1910's and 1920's as well, while another sister Natalie acted a little too, and became the first wife of Buster Keaton. The daughter of an unemployed alcoholic named Fred Talmadge and his domineering wife Peg, Norma grew up as the oldest daughter in a stressful home life marked by poverty. Her father deserted the family one Christmas morning when the children were little, and left his wife to raise the three girls alone. Peg took in laundry, sold cosmetics, and taught art classes to help the family survive. By the time she was fourteen Norma was prodded by Peg to take up modeling for the illustrations in the title cards of the earliest films shown in the nickelodeons. This experience was used by her mother Peg to get Norma's foot in the door at Vitagraph Studios, located a short distance from their home. Every day they rode the trolley, with Norma often missing school, to try to get the young, beautiful girl into films. Norma was eventually successful enough to attract the attention of studio executives at Vitagraph, and she won her first contract. In 1911 she was the girl who was marched to the guillotine in "A Tale Of Two Cities", the first film version made of this classic story (which, incredibly, still survives today in good condition). Norma went on to play small roles in early Vitagraph shorts such as "The Household Pest" (1910), "His Official Appointment" (1912 - which survives), "An Old Man's Love Story" (1913 - surviving), "A Helpful Sisterhood" (1914 - surviving), and "John Rance, Gentleman" (1914 - also surviving), appearing opposite a very young Antonio Moreno. By 1914 Norma was one of Vitagraph's leading young actresses, and the family's poverty seemed a thing of the past. Seeking even better opportunities for her girls, in August of 1915 mama Peg took Norma and her sisters to California. Norma's first film made in Hollywood was "Captivating Mary Carstairs" (1915), a failure. Its studio, National, shut down and Norma was out of work temporarily; she returned to the East Coast. During this time her sister Connie had begun acting for the legendary director D.W. Griffith. Constance managed to get Norma some work with Griffith's film company. 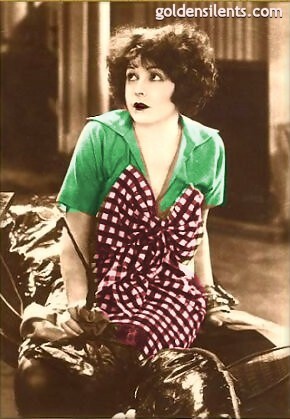 During this eight month period Norma made seven feature films and a few shorts, including a chilling departure from her usual dramatic ingenue roles, in a bizarre part as a beautiful young girl who connivingly turns an artist into a cocaine addict in "The Devil's Needle" (1916 - surviving in part). She also made an adorable film for Fine Arts which still survives, with a charming script by Anita Loos, called "The Social Secretary" (1916). 1916 was a pivotal year for Norma. She met and married successful film producer Joseph Schenck, who became enormously devoted to Norma. He was determined that she succeed in the picture business. 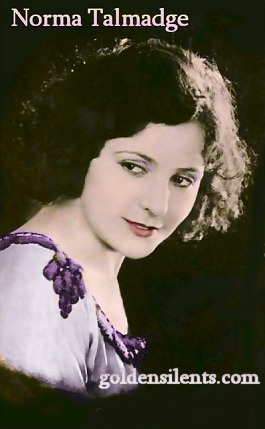 With his backing they formed their own production company, the Norma Talmadge Film Corporation, which turned out a number of films, the first of which was "Panthea" (1917), a huge hit for Norma, plus the sadly tender "The Forbidden City" (1918 - surviving), in which she played dual roles as a murdered Chinese woman and her daughter, as well as "The Heart of Wetona" (1919 - surviving), in which Norma played a mixed raced white girl and American Indian. In 1920 Norma's production company moved to Hollywood, and produced the successful pictures "The Wonderful Thing" (1921), "Smilin' Through" (1922), "The Eternal Flame" (1922), "The Song of Love" (1923), "Graustark" (1925) and "Camille" (1926). Norma's last silent film was a cameo appearance as herself in the well loved silent comedy "Show People" (1928), in which Marion Davies was the featured star. Norma made a handful of early talkie films, including the surviving "Du Barry, Woman of Passion" in 1930, but then she decided she had had enough, that she was rich enough to retire and enjoy life. 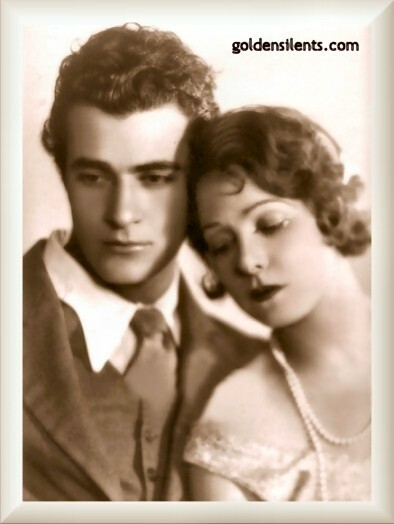 A romantic relationship which she had developed with actor Gilbert Roland threatened her marriage to faithful Joe Schenck, and Norma was divorced from Joe in 1934. The bloom fell off the rose with her relationship with Gilbert however, and Norma went on to marry actor George Jessel instead. She appeared on his radio show during the 1930's, but then divorced George in 1939. She married Dr. Carvel James in 1946, a marriage that lasted until she died of a stroke at age 62, on Christmas Eve, 1957 in Las Vegas, Nevada. Vintage Bio from "Who's Who On The Screen" (1920): "Norma Talmadge was born in Niagara Falls and educated in the Brooklyn elementary schools and Erasmus High School. 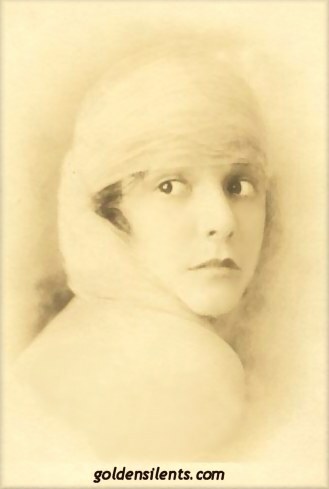 She entered pictures at the age of fourteen, with no previous stage experience, going first for the Vitagraph Studio as a member of its old stock company. Miss Talmadge now has her own Company, with her new special feature attractions, released through Associated First National Pictures, Inc. She is considered one of the foremost emotional actresses of the day, and is equally capable in light comedy and character roles. Because of her ability to excel in every branch of screen art, she has been universally nick-named "The Queen of Versatility." One indication of how popular a silent star was: the number of sheet music song covers her face adorned. 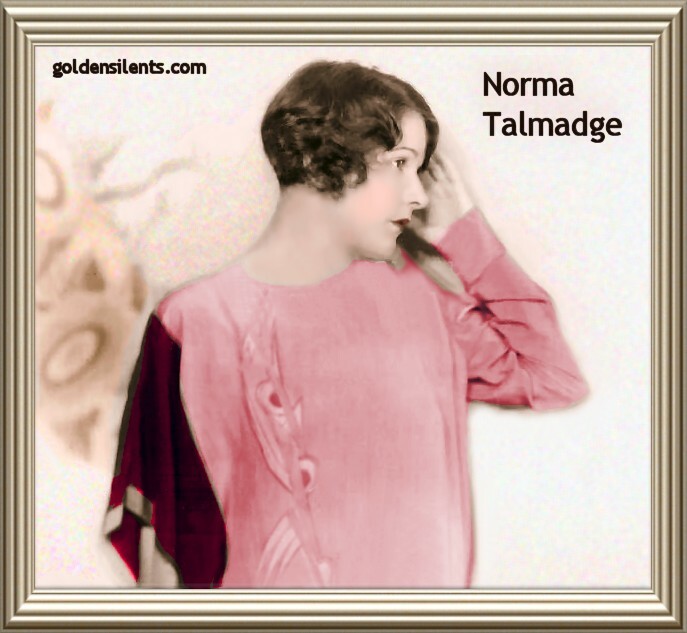 Like popular comedienne Mabel Normand, Norma Talmadge certainly had her share.